Dr. Wertheim is Certified in Medical Oncology by the American Board of Internal Medicine. He completed a fellowship in Medical Oncology at Memorial Sloan-Kettering Cancer Center in New York City. Prior to that, he completed his internship and residency in Internal Medicine at Downstate/Kings County Hospital in Brooklyn, New York. He received his Medical Degree from the State University of New York, Downstate Medical Center, and his undergraduate degree at the State University of New York at Stonybrook, Stonybrook, New York. Dr. Iannotti is Certified in Medical Oncology by the American Board of Internal Medicine. Prior to completing a Medical Oncology fellowship and residency at Memorial Sloan-Kettering Cancer Center, in New York City, he served his internship in Internal Medicine at Cornell University Medical College Hospitals and North Shore University Hospital, in Manhasset, New York. He received his Medical Degree from Georgetown University School of Medicine in Washington D.C.
Dr. Swanson joined our medical staff in July of 1998. 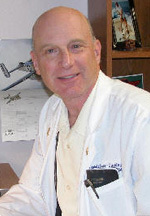 He is Certified in Medical Oncology and Hematology by the American Board of Internal Medicine. 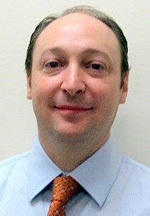 Prior to joining our practice, he completed his Fellowship in Medical Oncology and Hematology at The Memorial Sloan-Kettering Cancer Center in New York City. He received his Medical Degree and served his Internship and Residency at Vanderbilt University in Nashville, Tennessee. He received his undergraduate degree from Johns Hopkins University in Baltimore, Maryland. 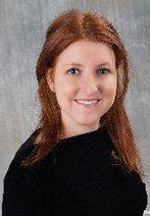 Dr. Yeckes-Rodin is a graduate of Duke University and the University of Miami School of Medicine and completed her internship and residency at Massachusetts General Hospital/Harvard Medical School in Boston, MA. She recently finished her fellowship in hematology and medical oncology at Beth Israel Deaconess Medical School/Harvard Medical School in Boston, MA. She is Board Certified in Medical Oncology and Hematology by the Board of Internal Medicine. She is also Board Certified in Internal Medicine by the Board of Internal Medicine. Dr. Rosen is certified in Medical Oncology and Hematology by the American Board of Internal Medicine. Prior to completing a Medical Oncology fellowship and residency at Mount Sinai Hospital, in New York City, he served his internship at Mount Sinai Hospital also. 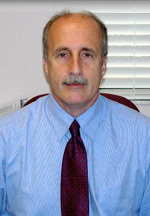 Dr. Rosen received his medical degree at Brown University School of Medicine. He was in private practice at Northern Valley Medical Association in Westwood, New Jersey. Dr. Jones attended Florida State University College of Medicine where he received his Doctor of Medicine. 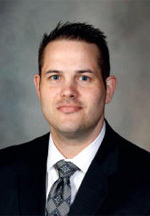 He did his Internal Medicine Residency at University of Texas Southwestern and just completed his Fellowship in Hematology and Medical Oncology at Mayo Clinic, Rochester, MN. Dr. Jones is an active member of the American Medical Association (AMA), American Society of Hematology (ASH) and American Society of Clinical Oncology (ASCO). 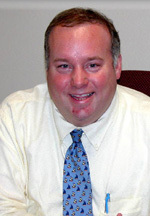 He is Board Certified in Medical Oncology and Hematology by the Board of Internal Medicine. He is also Board Certified in Internal Medicine by the Board of Internal Medicine.